Busy.org - have you heard about this social DApp before? 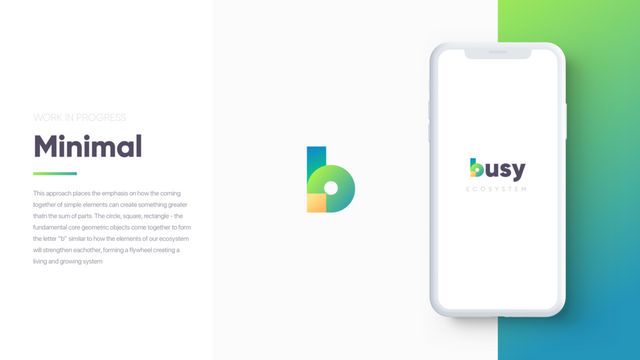 Busy.org is the next generation social network and communication platform, designed for people to write and publish posts in Steem so the community members can upvote each other, which results in rewards with Steem or sbd coins. If you have never tried Busy.org before, I bet you will have a very great experience because it was designed in that way. Busy.org interface is designed very carefully, in a way that people will love visuals at first sight. Visuals of the main page are prepared carefully. Which may turn a visitor for the first time, to a repeating one. To be able to use this Dapp you need to have a Steem account, where you can log in directly by giving any of your keys or you can sign up and wait few days for your account creation. Let's say if you do not understand anything in the homepage, from the section of login or sign up, there is an option for tens of different languages. The language when changed the main image showing these three steps to earn is not translated to other languages but it does not matter, because surely it is understandable by anyone. As an example I choose Hrvatski but the main three steps stay the same. If you use a browser in any of this available I am not so sure, but the website will be automatically changed, it should be coded in that way, even if it is not, the team has to take this as a suggestion or feedback. Once you are logged in with steemconnect the safest way to connect with any of dapps based on Steem. In your profile, the main thing to take your attention will be the Notifications. Compared to Steemit it shows the notifications but with one problem, always the maximum size of notifications is 25, it never shows the exact number. It does not matter that much, you can see them all with one click. But still is very helpful and you can track what happened with your account recently. But for some people like me, it may not be that important because there is a Discord bot that was coded by some amazing developers. It works very fast and I get notified through Ginabot. Since the website is launched is in the beta mode, but I think the main reason is because Steemit is in Beta phase too. 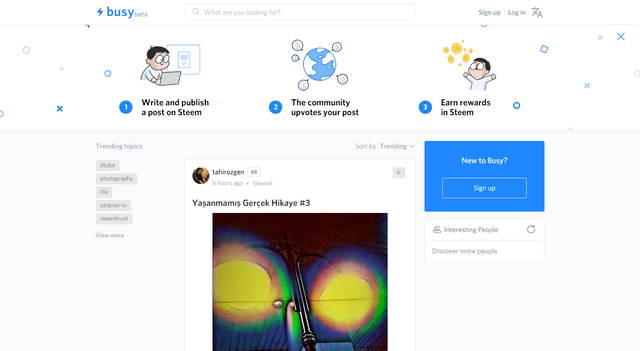 When steemit will be in a final phase, busy will make something similar to steemit but with better UI because the experience doesn't differ that much. But obviously, there are many extra features that steemit may not offer. The search bar works very well and you can search for any content with any of the keywords. Search bar loads very fast, and for this to happen there is a need for hundreds of codes to be written for the search bar to be more efficient. In overall the menus are on the left side, there is something called F-pattern which is a proven fact that people with the eye tracking watch the left side mostly when visiting a site for the first time. While in steemit the menus are on the opposite side. Busy.org provides some features that are designed in a way that users will enjoy using those tools. Each time when Busy comes with some announcements, something will change for triple times better. Steem is a public blockchain anyone can see wallet of anybody. It shows in a real-time with the prices of Steem and SBD how much money a person owns in a $, while in Steemit it is shown approximately. Also, you can learn what is the current price of Steem and Sbd directly in Busy, even you can refresh that part whenever you want for refreshed information. It is way better when you see Steem with green color in that corner. When it is red, you better minimize your page. There are people that make different blogs or posts every day, it is time-consuming to copy and paste in each containing the signature which can be links of their social media and so on. 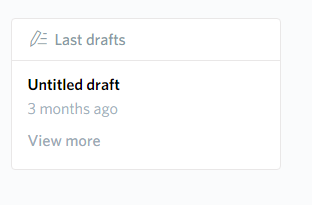 Or anything else that user would like to have at the end of each content. This is why Busy makes it easier, you can just write it once and not worry about the signature once again because it will appear in each of your posts. But with a problem, here again, I would suggest to the team members if they can change this; The signature only is shown in the link is opened in Busy.org - not in other Steam applications. Compared to Steemit the background may not be visible because of the profile information in Busy is in the left side again using the Pattern this is great. Steemit uses the information in the middle of a background photography. 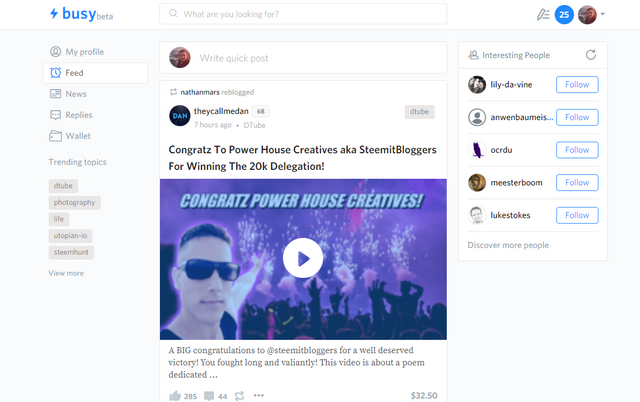 A tip: If you are new to Steem Blockchain make sure your background looks nice in both Steemit and Busy! As I am aware there are algorithms that show to each account differently about Interesting people to follow. Based on the similarity of following and followers Busy shows you another Interesting people to follow and to have a way for networking and knowing new people. It's been a few months that Busy shared version v3 and a new branding strategy, which is adorable! To conclude I would like to say thank you for your patience reading all these important details and information. Hopefully, you learned a great way how to be rewarded with Busy and why you have to use it. Included in the text there are some suggestions that I would like to see in the future. Additionally, I would recommend seeing a feature when uploading a Background to be able to move the background like the Facebook cover is, you can edit and test the scale however you want.